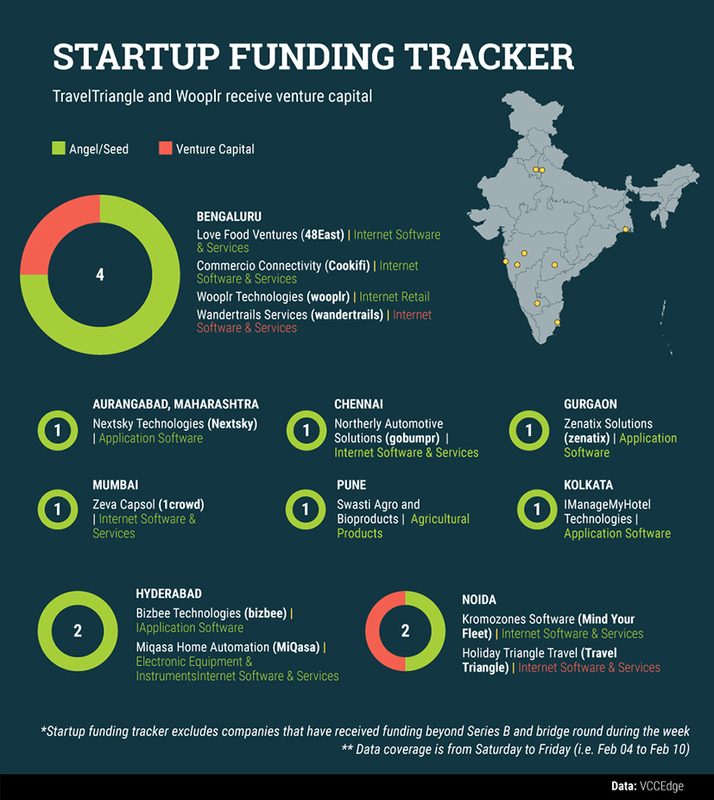 The week gone by saw 14 startups receive angel/seed and venture capital. In the biggest deal of the week, Noida-based online travel agent marketplace TravelTriangle received $10 million in a Series B round of funding led by Singapore's RB Investments. In another deal, Bengaluru-based fashion discovery platform Wooplr raised $8 million in a Series B round of funding from a group of investors, including Sistema Asia Fund, private equity firm Amereus Group and Helion Ventures. As many as five startups â€“ Bizbee, Nextsky, Miqasa, Cookifi and Swasti Agro and Bioproducts â€“ were selected by Coimbatore-based Amrita University's Technology Business Incubator (TBI) from its annual PitchFest programme and will receive seed funding. The TBI will invest a total of $350,000 in the five startups.